1. 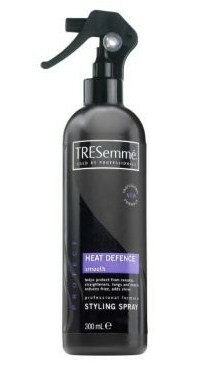 Laura O’Connor – Tresemme Heat Defence spray. My hair has been bleached until white and has been every colour possible. I wash my hair at least 5 times a week, I always use a hair dryer on it and I do love my straighteners. Tresemme Heat Defence really does protect your hair without adding a build up. It smells nice without being over-powering and it’s simple to use. Just spray on damp hair and off you go. It’s also a bargain price too… I get compliments on my hair as it’s so shiny! 4. Mel Twominuterinse Matthews – Three Summer Essentials! First off it’s Charles Worthington’s UV protection styling spray. It was amazing at protecting my hair and keeping it nice and moisturised whilst on holiday! I went from frizzy beach hair to sleek beach goddess. It has a really fresh fragrance and is available in a travel size, perfect for taking away! 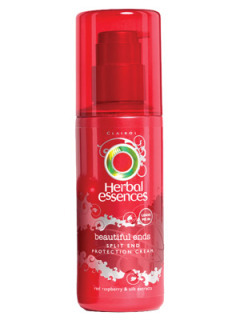 Second its Herbal Essences split ends protection cream. You just apply to the ends of your hair after washing; I’d just had my hair cut and had to have 2 inches off the bottom to get rid of all the dry split ends, so I wanted to keep it looking that way! As I can be a bit of a slave to my straighteners I do get very dry ends! This cream is great, smells like raspberries, and keeps my ends protected and soft – I love it! Look out for offers too as I got mine for only £1.99! My 3rd product is the new Pantene Pro-V Aqua Light spray! This product is lovely and doesn’t weigh down your hair at all or leave any residue! I’ve used it on both wet and dry hair with great results, allowing me to style my hair, tackle fly-aways and leaving a nice glossy sheen afterwards. This is definitely a new fave product of mine! It took myself, my mum, my gran, two of my step sisters an numerous relatives over 19 years to find products that worked on my hair. Being mixed race with very curly but very fine hair I fail on both accounts; European products don’t control my frizz and Afro products drown it. So when I stumbled across Tresemme I never actually thought it would work. I started off using the Freeze Hold Hairspray – which believe me, is not for the faint hearted. I’ve gone to sleep after a heavy night an woken up like I was in Eastenders with my hair exactly how I’d left it the night before (shame about the face though eh?). I then added to my collection the Reconstructive Hair Masque which I can happily leave in for 3 days, and when I wash it out my hair actually feels like I imagine Cheryl Cole’s does in that advert *adopts geordie voice* “an remember girls, we’re worth it too”. 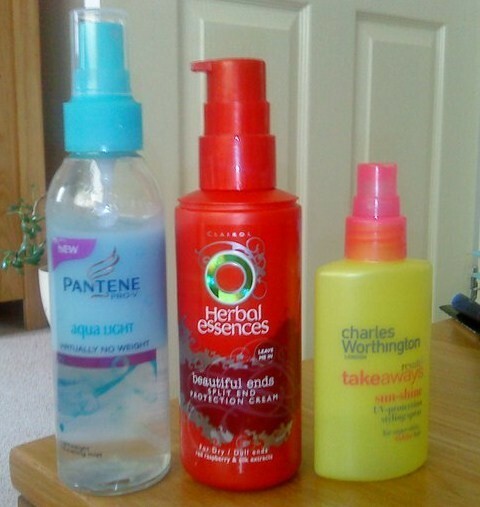 I have to say that I now also use (not all at the same time you understand) the Salon Finish Mousse, the serum and also the Detangling Spray. People always comment on my lovely smelling locks and my frizz free curls. So for any ladies out there despairing at their mops, give it a go – ask for samples, nab your friends and if all else fails bankrupt your mandadself in the pretence of research. So these are my fans faves… what are yours? Have you tried any of these? I’m definately putting them on my shopping list! Next Post Blush Me Beautiful! I would never use a Herbal Essences product after seeing the hurtful essences website! I like animals too much! I personally tried the olive oil treatment a few years ago and it worked great. I had bleached my hair, dyed it radical colors, then had to re-bleach and re-dye it black when I was offered a management position. This was all in a month. My hair felt like straw. 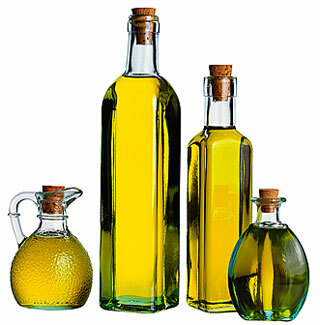 I took a bottle of olive oil and let it sit for 45 minutes. It wasn't back to full strength, but it was great strides better!